I’m sure almost every lovely lady has their own makeup routine you follow in the mornings. Maybe you put on your foundation then add blush, eyeshadow, and liner to complete your look! Or, perhaps you moisturize before you add your makeup. No matter what you do, I highly recommend adding a primer to your routine! Makeup primer helps you to smooth your skin and combat shine. It helps prepare your face for whichever makeup routine you choose to use. I know I can’t live without mine! Here I’ll show you some of my favorite primers that you can find right in your own drugstore! This fantastic product smooths your skin and erases pores, giving you a flawless base from which you can apply your regular makeup routine. Maybelline gives you the most bang for your buck with this primer! The package comes with two tubes of primer to last you twice as long (or if you want to give it to your friend!). Maybelline is one of the best makeup brands out there! They’re known for their reliable, value-friendly, and effective makeup. You can expect the best with their Pore Eraser Primer. If you’re looking for a budget-friendly product, look no further than this primer! You can’t go wrong with this product if you’re looking for something that works but doesn’t break the bank. No lie, this primer makes your skin as smooth and soft as a brand new baby! 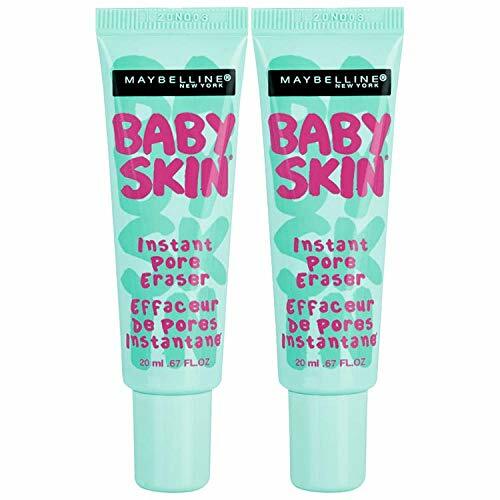 I love this primer for several reasons: it’s inexpensive, the package comes with two, Maybelline is a trusted brand, and it smooths and softens your skin. Although it may not work as well as some of the other high-end brands, the Maybelline New York Baby Skin instant pore eraser primer is perfect for those who want to try their hand at a primer or who want something that will work without burning a hole in their wallet! The Thank Me Later primer by Elizabeth Mott helps to minimize the appearance of pores and fine lines for a flawless look day in and day out. It also helps to reduce shine. This is a great all-around product for just about everyone! Put it on in the morning and forget it! The waterproof formula will last you throughout the day, keeping your look flawless and stunning! No need to re-apply your makeup if you go out on a Friday night! The Thank Me Later primer does not contain any parabens. Even better, for those who love animals and worry about animal-testing, Elizabeth Mott does not test on animals. They’re even registered with PETA’s Beauty Without Bunnies program. Use this primer worry-free! If you don’t like it or you experience any issues, simply return the product for your money back. If like me, you suffer from oily skin, the Thank Me Later primer works wonders! You won’t have to worry about your oily skin getting in the way of your flawless look! This waterproof, long-lasting primer is a great asset to your makeup bag. Not only does it reduce the appearance of fine lines and pores, but it also helps to minimize shine, creating a clean, beautiful look that will last you all day! Elizabeth Mott is also a cruelty-free company in that they don’t test their products on animals. Some have mentioned that it doesn’t last long in hot weather so keep this in mind if you leave in really humid, arid areas. Smashbox offers another amazing primer that helps to minimize pores. Its oil-free formula works for many skin types, so it makes for a useful, universal primer for just about anyone! The Photo Finish Primer won Allure’s Best of Beauty prize. This prize isn’t given to just any beauty product! So you know this one’s sure to be a winner! Although it’s especially ideal for oily and combination skin, this product works for all skin types. It pairs best with liquid or cream foundation. Formulated with quality ingredients, you won’t find sodium lauryl sulfate, oil, phthalates, fragrance, talc, or other products that can damage or irritate your skin. 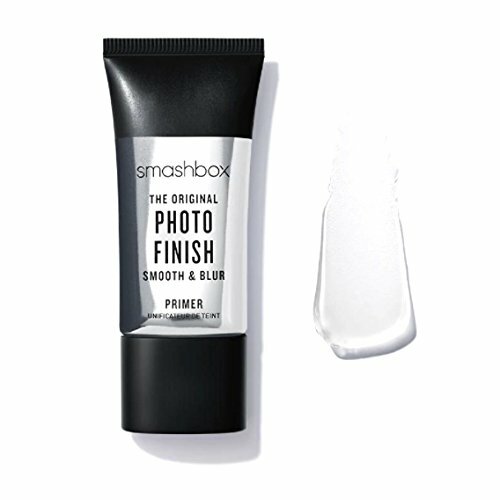 Smashbox has a smash hit with its Photo Finish Primer. The oil-free formula is effective for all skin types, especially for those with oily or combination skin. The primer has won Allure’s Best of Beauty prize and one of the only entries in this list to have won such an award! So it’s sure to be a good product to use as part of your beauty routine. It is priced a little higher than other entries in this list, but by many accounts, the price is worth it. 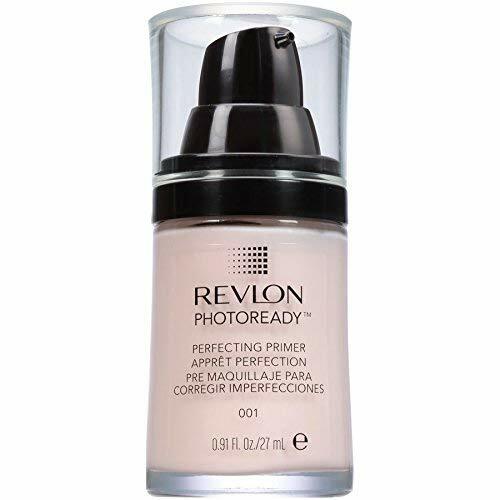 Revlon, another powerhouse in the beauty industry, comes in strong with their PhotoReady primer. Simply smooth the primer into your skin, and you’re good to go! The formula instantly reduces the appearance of pores. Upon application, the PhotoReady Primer reduces the appearance of pores. It also contains silica mattifiers to minimize the production of sebum on the skin’s surface. Sebum is an oily secretion of the skin’s sebaceous glands which helps to lubricate and waterproof the skin. Revlon’s product works well on all skin types. Grab some for you and some for your friends! It makes an excellent gift for just about everyone! The high definition filter technology employed by this product reflects and diffuses light for a flawless, airbrushed look. This primer transforms your face into a picture perfect canvas for makeup! This is an amazing product. For just a few bucks, you can achieve flawless skin that’s perfect for any type of makeup regimen. This product works for any skin type and utilizes state-of-the-art technology in the high definition filter to reflect and diffuse light to smooth skin and reduce pores. It helps reduce the production of sebum to keep your skin fresh and oil-free. Like other primers in this list, the Benefit Cosmetics POREfessional balm pore minimizer does exactly as its name suggests: primes your face for your makeup regimen and reduces the appearance of pores. It also contains a Vitamin E derivative that helps protect your skin. Have you ever used a primer that, once applied, feels oily and leaves your skin feeling slimy instead of smooth? Fear not with this product! The POREfessional primer is oil-free and lightweight and leaves your skin feeling silky smooth, not oily. I have olive skin, and some primers cause my face to look downright pasty or ghostly! Not this one! It complements all skin tones. The oil-free formula helps to keep your makeup in place. Apply in the morning, touch up as needed, and voila! You’re sure to stay beautiful throughout the day! I have really oily skin that tends to break out fairly easily. When I used this product, however, I didn’t experience that at all! The POREfessional primer works amazingly well on any skin, whether you’re prone to breakouts like me or if your skin gets really dry. Easily one of the most popular primers out there, you won’t go wrong with the POREfessionals brand. It smooths your skin and complements your skin tone for a flawless look with little to no visible pores or lines. The Vitamin E derivative protects your skin, and the oil-free formula won’t damage or irritate even the most sensitive skin. It’s a little more expensive than other brands, but you definitely will get a quality product that you’ll want in your makeup bag for years! If you’re worried about the effects of aging on your lovely skin, you’ll love the Dual-Action face primer from Monica Ann Beauty. Its formula, complete with one of the best anti-aging ingredients on the market today, helps to combat the effects of aging while still leaving your skin smooth and soft. 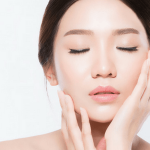 Hyaluronic acid is known as one of the best anti-aging ingredients on the market. It offers a vibrant, youthful glow that improves the appearance of skin over time. Hyaluronic acid plumps and hydrates the skin. The translucent matte coverage reduces pores, redness, and wrinkles. It can also be worn on its own or under makeup as part of your daily routine. The primer also contains Vitamin C to brighten the skin by boosting your skin’s collagen production. With every purchase of this product, a portion of the proceeds goes towards cancer research. This is one of the best anti-aging primers available today. The dual-action formula with Vitamin C and hyaluronic acid helps to brighten, hydrate, and plump skin. The matte helps to reduce the appearance of pores, redness, and wrinkles, making your skin look younger and more vibrant. This product won’t irritate your skin, so it’s safe for everyday use. It does, however, give off a powdery scent which some people may not like. Additionally, some with sensitive skin might have a reaction to some of the ingredients. 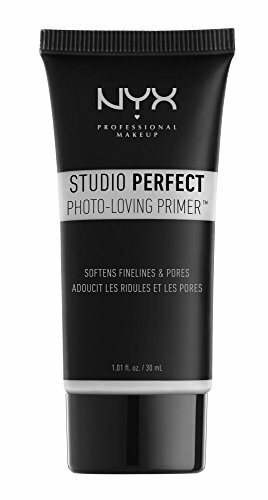 This is easily one of the best value primers out there. COVERGIRL meets Olay in this ageless serum primer. It preps the skin for a smooth, natural, flawless foundation application. Olay’s skincare ingredients help to renew your skin and leave it feeling soft and smooth. With the combination of Olay and COVERGIRL, this product reduces the look of wrinkles, age spots, and hydrates skin. The oil-free formula won’t clog your pores or leave your skin feeling grimy. The Simple Ageless serum primer is the first in a line of amazing, anti-aging products. Combine the primer with other products in the Simply Ageless line for a beautiful, long-lasting complexion that looks stunning on its own or combined with some of your favorite eyeshadow, lip tint, or other beauty product. 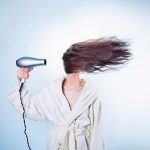 Because of its value, it may not perform as well as other more expensive options, but it’s sure to be a good product that you should use as part of your routine. 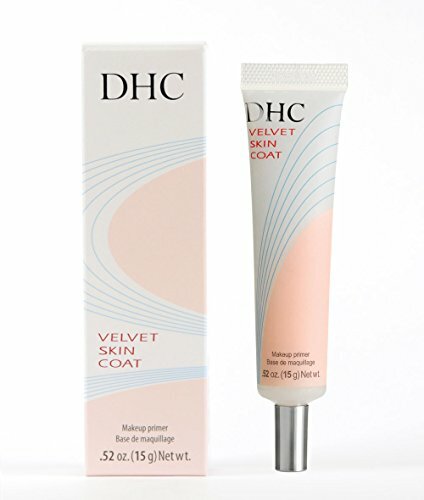 The DHC Velvet Skin Coat primer is a highly-rated beauty product and for a good reason. This product instantly softens and improves the look of your skin. No matter if you decide to wear makeup or not, the DHC Velvet Skin primer leaves your skin fresh and flawless all day long. Worried that you’ll need to take time out of your morning to let your primer dry? Not with this product! This product isn’t just designed for your face! You can also use it on your hands and neck. The DHC Velvet Skin Coat primer is used by professionals worldwide. If you’re looking for a good general primer that will help you look your best with or without makeup, look no further than the DHC Velvet Skin Coat primer. It needs little to no drying time so you can get on with your day quickly! You can also use this primer on your hands and neck. Some have said, however, that the primer doesn’t last all day, and you’ll need to touch up pretty regularly. The NYX Studio Perfect Primer gives you a smooth surface upon which to add your favorite beauty products. It helps keep your makeup lasting longer and looking fabulous! This primer comes in three colors: Clear, Lavender, and Green. Use Clear to prime or Lavender or Green to color correct. Lavender works to brighten and illuminate yellow undertones while Green eliminates redness. The NYX Studio Perfect Primer easily blends and absorbs into your skin and leaves no sticky mess behind! This product leaves a smooth matte finish as a precursor to your daily beauty routine. Like some other options in this list, the NYX primer works well for anyone who wants an inexpensive option to look their best! You won’t sacrifice quality for price with this primer! Many love how easily and smoothly this primer goes onto the skin. It also works really well if you have dry or combined skin. The three different shades address various skin items such as redness or yellow undertones. It’s easily absorbed into the skin so you can ready yourself for the day or for a night out! 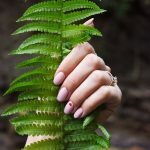 Some have said the Green shade does not effectively address redness in some cases so you might want to test some out either from a friend or a trial size (if possible) before you commit to buying. What Is the Best Drugstore Primer? I really love the Thank Me Later Primer by Elizabeth Mott. It works similarly to other primers in this list in pore minimization and smoothing skin prior to makeup application. It, however, even goes further than that. The Thank Me Later primer lasts all day and is even waterproof. 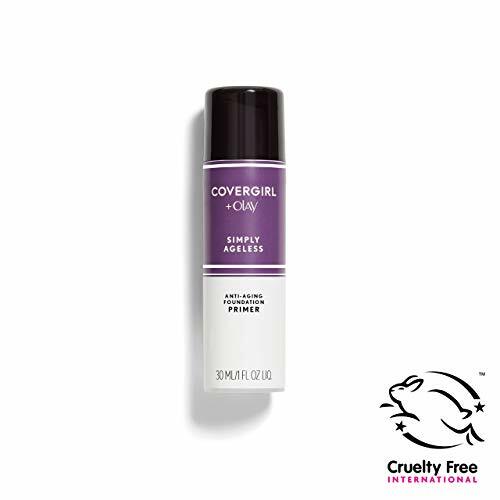 Lastly, the manufacturer ranks as a cruelty-free brand, and I love this! This secures its place as my favorite drugstore primer. 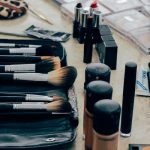 What Do Makeup Primers Do? Makeup primers smooth your skin as the first step in a makeup regimen. It also helps to combat shine, especially if you suffer from oily skin like I do! Most primers help your makeup last longer and look better. By smoothing pores, lines, and wrinkles, primers transform your face into a smooth canvas upon which to paint your makeup art! Do You Moisturize Before Primer? Yes, you should moisturize prior to applying primer. This ensures even application of your primer. If your primer does not form an even coat on your face, then you risk having uneven makeup as you move forward with your makeup regimen. (Read more: 9 Best Drugstore Moisturizer). Why Is a Primer Good for Your Face? Primer is good for your face for several reasons, depending on the type of primer you purchase. By far and large, all primers help prepare your skin for foundation or other makeup. They help your skin appear smoother and keep your makeup on longer. Others have different purposes. Some have anti-aging properties. That is, they help minimize the appearance of wrinkles and fine lines associated with getting older. Others use a blurring effect to minimize flaws by creating an airbrush effect – these are great for Instagram-worthy selfies! Others come in different shades to address different items. For instance, green combats redness, pink helps to revive a tired complexion, and blue cancels out sallow tones. All in all, they help to erase facial flaws by canceling out facial colors with their counterparts on the color wheel. Some other primers have an illuminating effect on your face. That is, they help to enhance and add dimension to different areas on your face such as your cheekbones, brows, or your nose. If you want your skin to glow, illuminating primers work wonders and possibly eliminate the need for foundation! 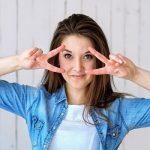 Overall, primers offer many benefits such as smoothing or hiding flaws, illuminating skin, and combating the effects of aging. When purchasing a primer, I recommend you consider which brand makes the primer. While most primers work, purchasing from a brand you know gives you the peace of mind to know it is a quality product. Some of our favorite brands include CoverGirl, Maybelline, Revlon, Smashbox, and Elizabeth Mott. Know what you’d like the primer to accomplish. Do you want one that has anti-aging properties? Do you want one that illuminates your skin? Align your desired outcomes with the product to ensure you’re getting the best primer for the job! Just remember that not all primers are designed the same. If you have oily skin, you’ll want to purchase something that won’t exacerbate the issue or cause any irritation. If you have dry skin, you’ll want something that moisturizes. Try to find the best product for your skin. Your skin will thank you! Some of the best primers don’t require you to spend that much money. Try to buy something within your price range. Fortunately, primers come in a wide range of price points. 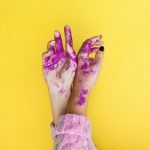 If you’re not sure how much you’ll get with a certain price point, check out the primers in this list – some of them run under $10 while others are a little higher. You’re sure to find something great! The best primers have effective, powerful ingredients such as silica that will help with a primer’s matte. Others will have hyaluronic acid to help with aging. Still, others have vitamins that help brighten or hydrate skin to make it even more flawless and beautiful! Some others might have irritants that can damage your skin. Make sure to check the label to see if there’s anything that might cause your skin to react. I highly recommend looking for a primer that lasts all day. This will lessen the need for you to touch up your primer and makeup throughout the day. Put it on in the morning and then keep on going straight on until night! A primer is the first thing you should put on in your makeup regimen. It sets the stage for your best face by illuminating your skin, diminishes pores and lines, and provides a smooth foundation for the rest of your makeup. There are all sorts of options out there for you to use – I’ve given you a few of my favorites! I absolutely LOVE primer and simply can’t live without it! 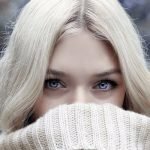 I hope you found our Best Drugstore Primer Reviews article useful. Do you have any other questions about any other drugstore primer brand?